Breakfast by the Canal...It's okay only. Left our bike in the middle of the street overnight. Not bad... it is still around. May be it is too cheap to be stolen. I think this place supposed to be swamp previous. It took more than 50 years to change it. Looks amazing!! Great urban planning. Nice Place to chill and relax. I am pleasantly surprised that cycling in outside of Amsterdam is so relaxing and fun. Amsterdam is very livable. Love it!! 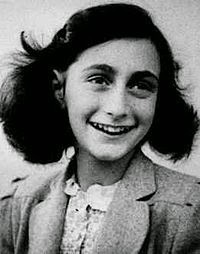 Wiki: "Annelies Marie "Anne" Frank, 12 June 1929 – early March 1945) was a diarist and writer. She was one of the most discussed Jewishvictims of the Holocaust. Her wartime diary The Diary of a Young Girl has been the basis for several plays and films. Born in the city of Frankfurt in Weimar Germany, she lived most of her life in or near Amsterdam, in the Netherlands. Born a German national, Frank lost her citizenship in 1941. She gained international fame posthumously after her diary was published. It documents her experiences hiding during the German occupation of the Netherlands in World War II. The Frank family moved from Germany to Amsterdam in 1933, the year the Nazis gained control over Germany. By May 1940, they were trapped in Amsterdam by the German occupation of the Netherlands. As persecutions of the Jewish population increased in July 1942, the family went into hiding in some concealed rooms in the building where Anne's father worked. After two years, the group was betrayed and transported to concentration camps. Anne Frank and her sister, Margot Frank, were eventually transferred to the Bergen-Belsen concentration camp, where they died (probably of typhus) in March 1945. Otto Frank, the only survivor of the family, returned to Amsterdam after the war to find that Anne's diary had been saved, and his efforts led to its publication in 1947. It has since been translated into many languages. It was translated from its original Dutch and first published in English in 1952 as The Diary of a Young Girl. The diary, which was given to Anne on her thirteenth birthday, chronicles her life from 12 June 1942 until 1 August 1944." Read Ann Frank Book after I visited the Holocaust Museum in Washington DC. I cried for Ann Frank and the people who suffered in the senseless war. It is really sad and absurd that such a bright young lady has to die just because she is a Jew. A reminder of the insanity of humanity.